You can choose from hundreds of different colors when choosing Marmoleum flooring, thereby giving you a lot of visual flexibility. Additionally, linoleum is available in planks, tiles, and sheets, which makes it easy to match the look of stone tile or wood plank patterns. Marmoleum is affordable – For the quality of the material, the low cost comes to a surprise to many. This is because the materials used to produce Marmoleum are not only affordable but readily available. Marmoleum is easy to clean – Marmoleum is non-porous, making it a great option in the kitchen area. Because it’s non-porous, it won’t stain, making it easier to keep clean. Additionally, you can clean it by simply mopping, sweeping or vacuuming. Marmoleum is easy to install – Marmoleum comes in tiles or sheets that can both be glued down as well as in boards that can click together without the use of an adhesive. This not only makes Marmoleum incredibly easy to install but also easy to replace. Marmoleum is heat-resistant – Marmoleum’s natural resistance to heat helps improve your home’s safety and makes it an effective choice for the kitchen. Marmoleum is biodegradable – Marmoleum is 100 percent biodegradable and won’t have a lasting impact on the environment after it’s discarded. In fact, it has the lowest environmental footprint of any flooring type. Marmoleum won’t give off toxic VOCs – Not only is this because it’s a completely natural product, but it’s also because no adhesives are needed to install it. Marmoleum will last – Marmoleum flooring can last upwards of 50 years. 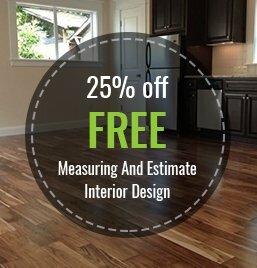 The longer your flooring lasts, the less of an impact you have on the environment replacing it. Marmoleum is antibacterial – Not only do its antibacterial properties make Marmoleum easier to clean, but it means that Marmoleum won’t affect your home’s air quality. For more information about our green product Marmoleum, be sure to contact us at Macadam Floor and Design today.